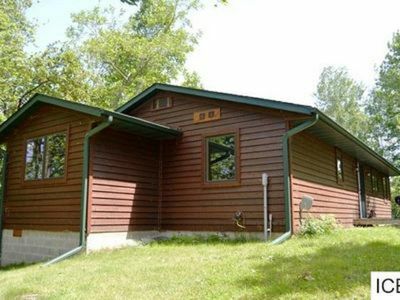 Escape to this cozy 4-bedroom, 2.5-bathroom vacation rental cabin in Deer River for the ultimate Minnesota getaway! 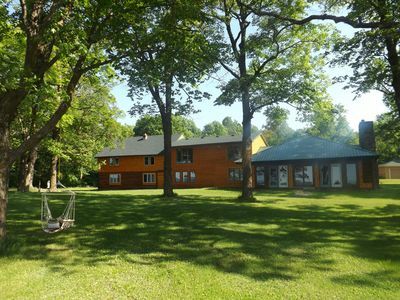 Situated on 19 acres of deciduous forest, surrounded by mature red and white pine trees, this home offers accommodations for up to 16, privacy, and an abundance of natural beauty. Whether you're seeking relaxation or outdoor excitement, you're sure to find the ideal vacation here! 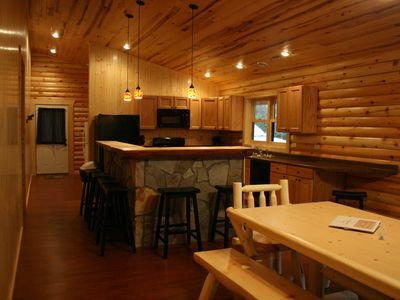 Boasting 4,300 square feet of twisting cedar logs and tastefully appointed living space, this spacious, homey cabin is the ideal size for a family, friends, or couples traveling together. 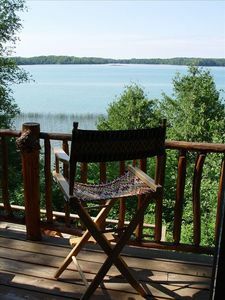 Located in the middle of Chippewa National Forest with views of the lake, the natural beauty of the area is magnificent. Inside, the home features rustic wood decor, accented by rough lumber, river rocks, a wood-burning stove, and all of the amenities necessary for the ultimate home-away-from-home experience. With a fully equipped kitchen, the chef of the group will love preparing delicious home-cooked meals. During your downtime, stay entertained with a friendly game of ping pong, or compose your own music for guests on a 6 foot grand piano! 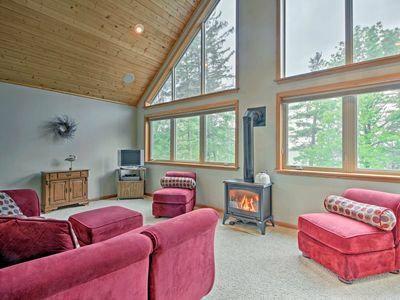 Early risers will look forward to sipping their morning coffee while looking for wildlife from the sun room, before heading out to hike, snowmobile, or fish. Return home after your adventures to unwind and decompress in the 8 foot, wood-burning barrel sauna outside. When you're not out and about, enjoy afternoons downstairs in the second living room, watching DVDs while enjoying the warmth of the wood burning stove. 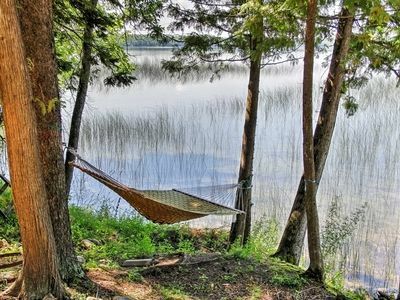 After a day spent relishing in the outdoors, you'll love relaxing back at home. Gather with your guests in the kitchen and prepare some of your favorite recipes for delicious dinners and quality time spent together. 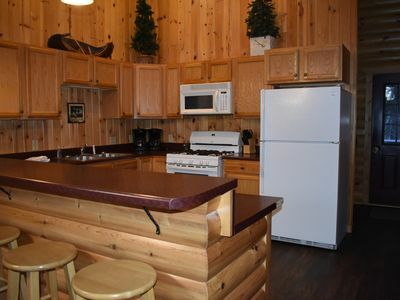 An outdoor enthusiast's dream, this superb cabin is in the perfect location to explore all that the area has to offer. 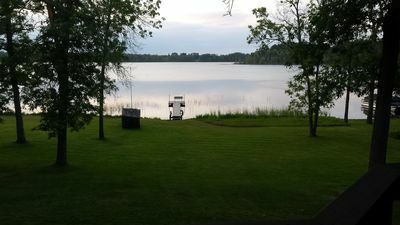 Located right on the lake, Sand Lake is fantastic for walleye fishing, both in the summertime and winter, along with kayaking, canoeing, swimming, and boating. There are multiple trails in the area that are great for hiking, snowmobiling, snowshoeing, and cross country skiing! Commercial endeavors, like shops, movies, and golf courses, are roughly an hour away in Grand Rapids. 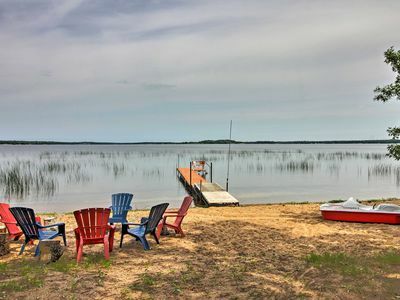 Regardless of how you choose to spend your time on Sand Lake, you're sure to have a memorable getaway when you stay at this beautiful vacation rental cabin! 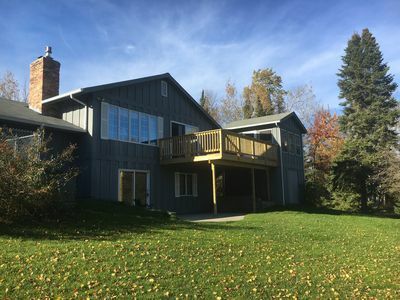 - Amenities include a fully equipped kitchen, Ninja food processor/blender screened-in patio, wood-burning stove, grand piano, ping pong table, 8-foot wood-burning barrel sauna outside, and more! 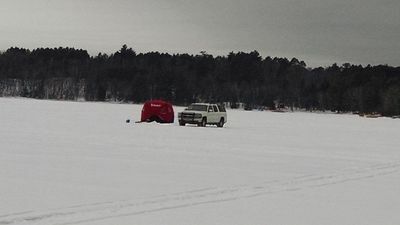 - Easy access to local, groomed snowmobile trails! - Music Room available with a 6 foot grand piano and keyboard! 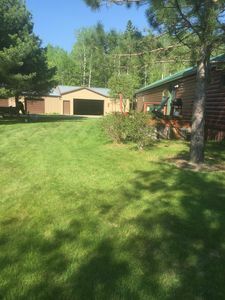 - Fantastic Deer River location on 19 acres of land! 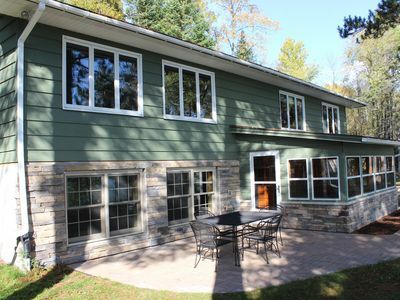 Easy access to hiking, fishing, hunting, kayaking, snowshoeing, snowmobiling, and more! 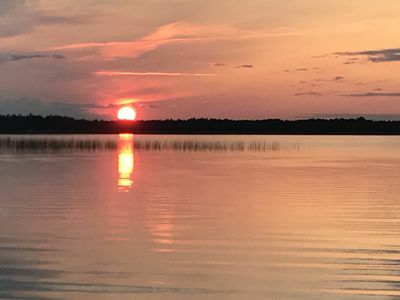 Deer Lake, Itasca County. 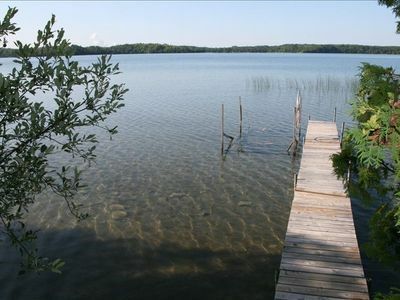 Crystal clear and clean lake with excellent fishing!